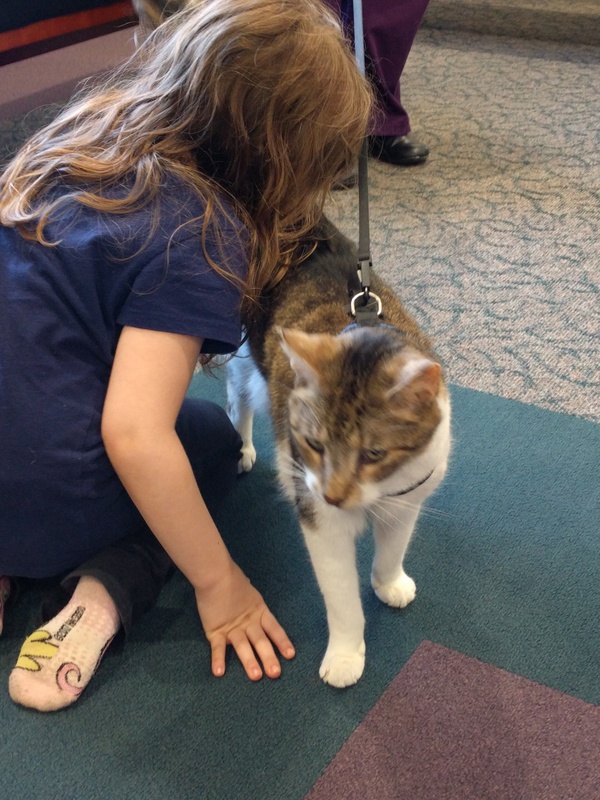 You and your child may be familiar with our popular Puppy Tales program, but did you know we also have a reading program with a therapy cat? Kipper is a former stray who now lives the good life at a local shelter, where he is pampered and loved. He’s been trained as a therapy animal, and is the most laid-back, amiable cat we’ve ever seen. He will be happy to spend a little quality time with your child and listen to him or her read out loud. This is great practice for your children, and it helps Kipper stay up-to-date on all the latest children’s literature. A win-win! You’ll find Kipper in the Discovery Room waiting for you. There’s no fee for this program and no need to register. Just stop by and say hello to our favorite cat buddy!